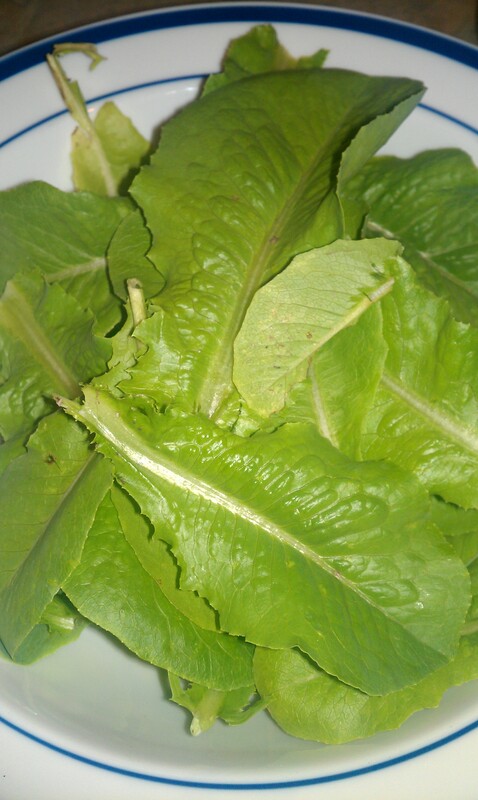 Yesterday, I showed you the Romaine lettuce that was growing in my garden. Today, I’m going to show you what I did with that lettuce. I made a Caesar salad with homemade dressing and grilled shrimp. Caesar salads were created by the Italian restaurateur Caesar Cardini who, during a July 4, 1924 rush, wanted to create something great with the dwindling supplies at his San Diego, Calif. eatery. Using whole Romaine leaves, olive oil, egg, Worcestershire sauce, lemon juice, pepper and croutons, Cardini tossed the ingredients together tableside to create what has become a staple on many restaurant menus today. Ever since Cardini famously made do with his ingredients-starved kitchen, cooks have put their own twist on his simple masterpiece, adding chicken, seafood and sometimes even steak to the mix. Because I live in Louisiana, I decided to use grilled shrimp. 1. 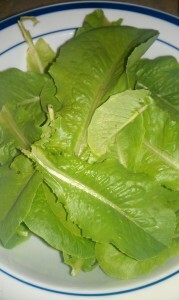 With my youngster’s help, I picked a bunch of Romaine leaves from my garden. Pretty, no? 2. Then, I peeled and deveined about a pound of 20-25 count shrimp. 3. 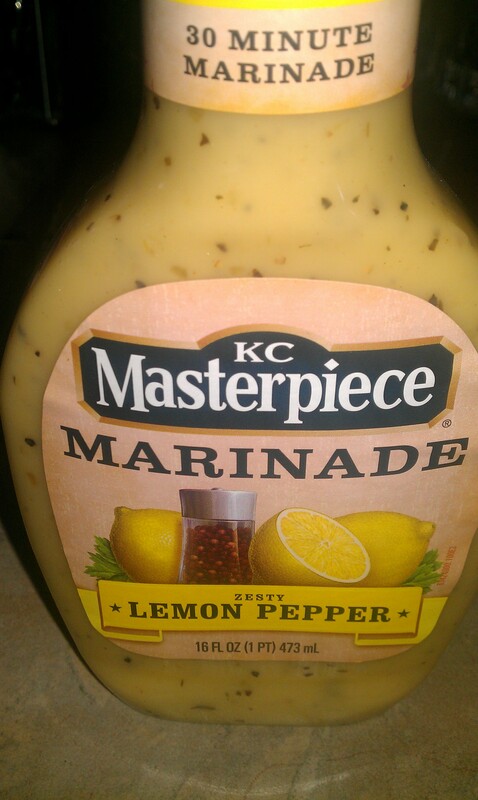 Once that messy work was done, I cracked open this lemon pepper marinade (which officially makes this the “Semi-Homemade with Sandra Lee” part of this post). 4. 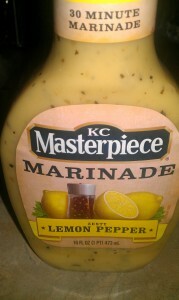 Then I poured the marinade on the shrimp and put it in the refrigerator for about a half-hour or so. 5. 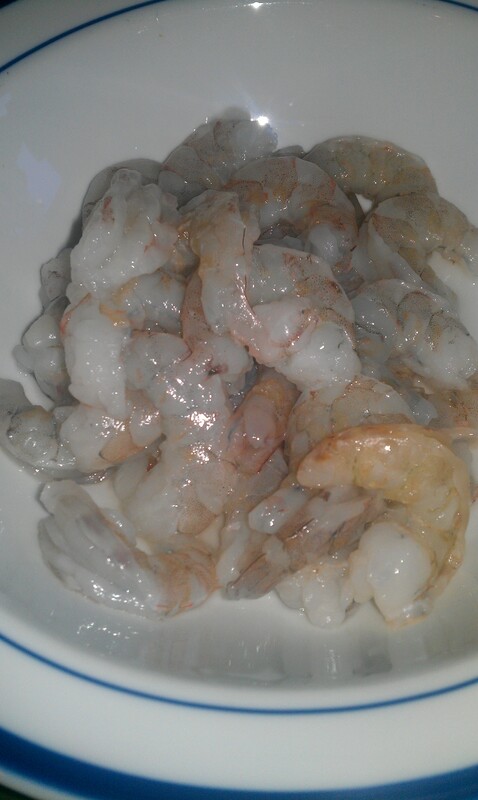 At that point, I informed my husband that the shrimp were officially his problem and that he should grill them so I could concentrate on how not to kill us with the semi-raw egg part of this exercise. He followed my directions while I ripped the Romaine into bite size pieces and then boiled an egg for precisely one minute. 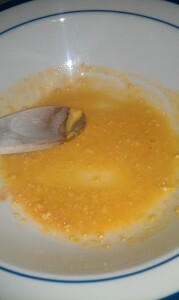 After that minute, I set aside the egg and got to work building the base of the dressing. 6. 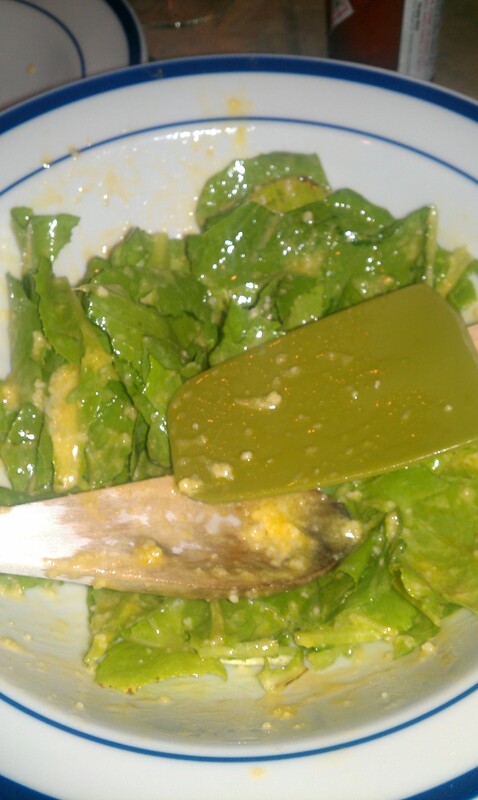 The New York Times Cookbook says you should use a wooden salad bowl for this next step, but I did not follow directions. 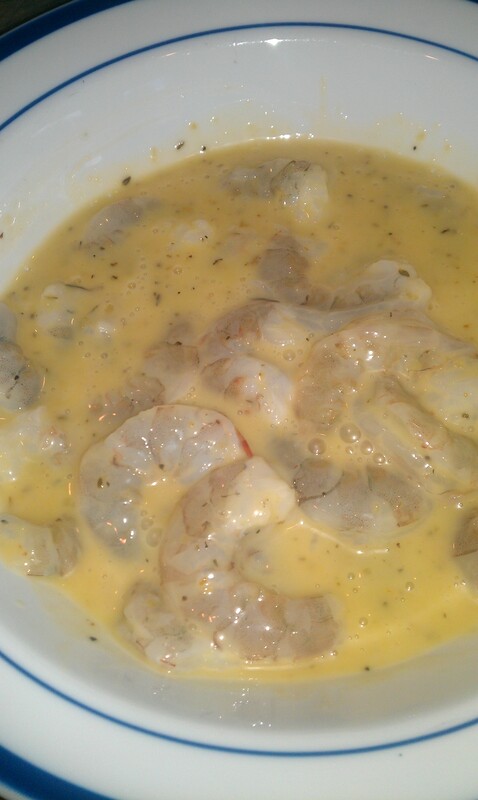 I went rogue and used a ceramic bowl. And into that bowl, I sprinkled salt (to taste), crushed one garlic clove, and then blended it all together with 1 teaspoon of dry mustard, 1 tablespoon of Meyer lemon juice and Tabasco sauce (to taste). 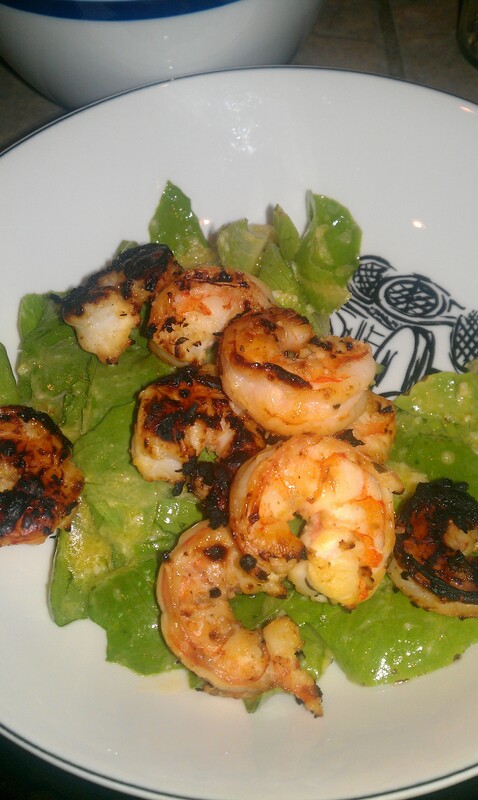 The salad was crisp and fresh, the dressing was bright and tangy, the shrimp were subtly sweet with a hint of mesquite smoke. Cardini’s recipe may have been driven by a crush of hungry diners, but the result remains one of the delicious little accidents of culinary history.